This legendary 24 hour (Sat. & Sun.) slider shack has long been on my list and I finally got to cross it off this past weekend. While down in Louisville we went over to Cincinnati for the day thus the chance to stop in for some came. Unfortunately the part of the Ohio River Scenic Byway from Louisville to Madison was pretty boring but the entire drive is something I'd love to take one day as there's certainly no shortage of both Rustbelt cities and historic towns along it. Madison was really pretty but I only got to shoot thru as this was a detour that was already taking longer than anticipated. 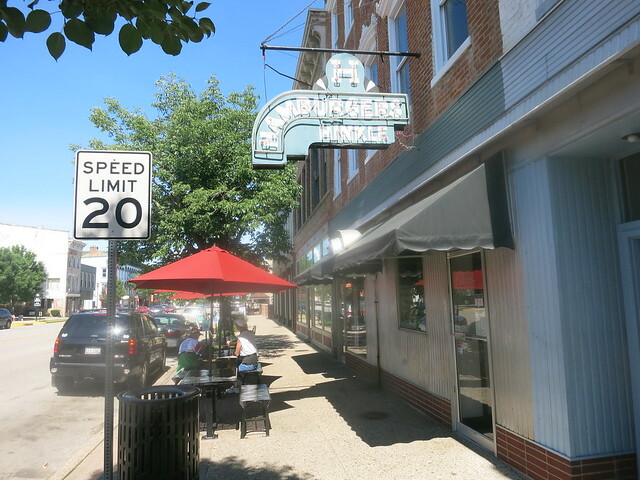 Hinkle's is a major part of the town as it's fed a few generations and counting. As the name suggests they serve sandwich classics like grilled cheese and tenderloins and also offer breakfast but it's all about the hamburgers which are served in slider form. 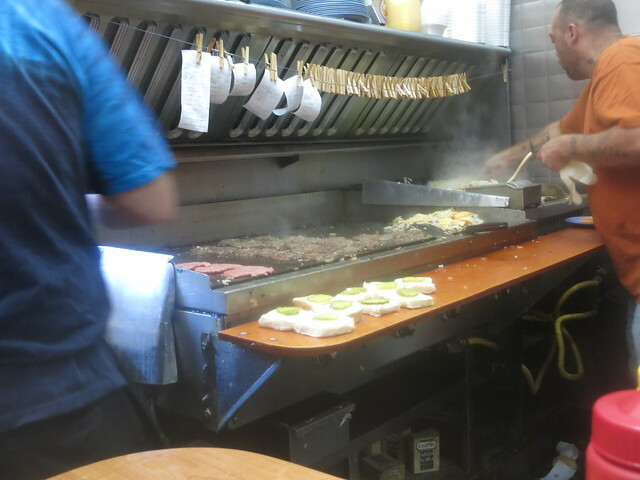 I got a seat right at the end of the counter right where the action was taking place so I got to watch the grillman and his partner churn out one after another as orders for them can come by the dozens. It obviously wasn't their first week on the job. The patties come pre-smashed and lose quite a bit of their size as they cook down. Standard toppings are grilled onions and pickles. Result? Fantastic. 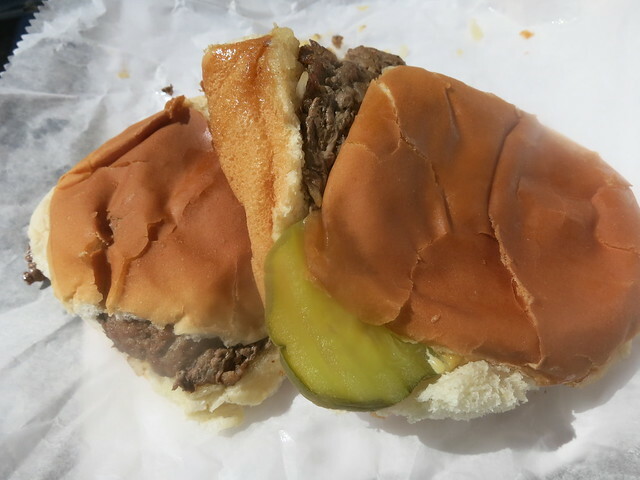 As good as I remember Powers Hamburgers over in Fort Wayne to be. Since I was en route to the Queen City I held my order to two which I ended up regretting the rest of the ride there. These have been on my want list ever since that last bite.